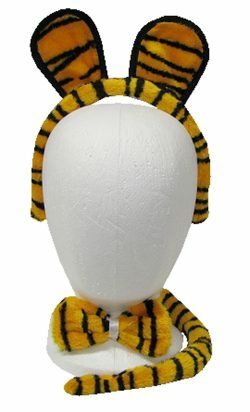 Tiger striped jumpsuit with headgear. 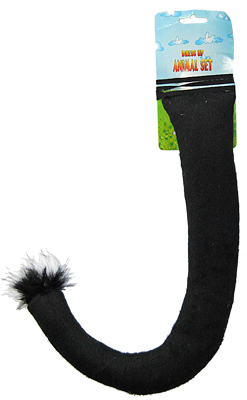 Black cat tail. 30 inches in length. Meow!